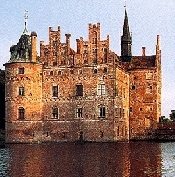 TRAVEL.org - DENMARK, Find hotels in Denmark, resorts, activities and tours. Car Hire Denmark - Get cheap car rentals quickly and securely online with Firstcarhire. Copenhagen Hotels and Accommodations - Discounted rates on Hotel rooms, Car Rentals, Flights, Vacation Rentals. Discountedhotels.com, your complete travel resource.